Plays on table. 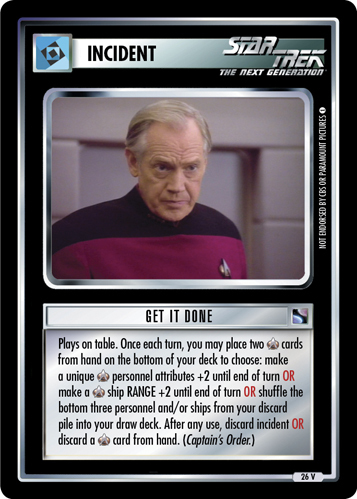 Once each turn, your personnel with "U.S.S. Enterprise" in lore may report (for free) aboard your U.S.S. Enterprise or to your outpost. 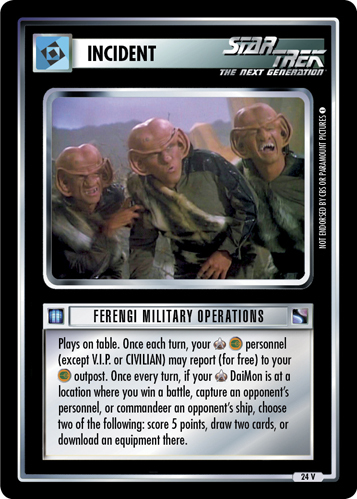 Once per game, if your matching commander is aboard your U.S.S. 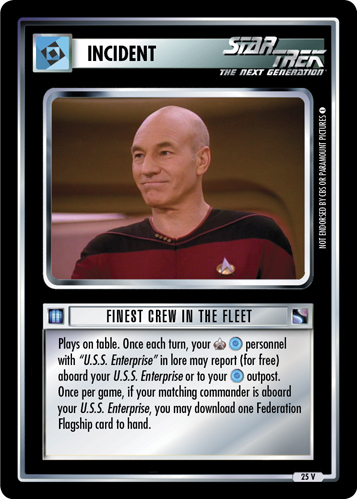 Enterprise, you may download one Federation Flagship card to hand.